September 4, 2014, Oslo, Norway: The shipping industry is largely based on networking. Surprisingly, it has not had its own social media platform - until now. 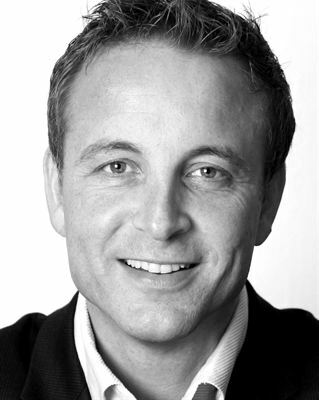 Brokers, owners, crews, agents, educational institutions and others confined to Google to locate businesses, services and people within their industry, have something to get excited about, says Eirik Fosse, CEO and founder behind the Norwegian developed social network Shippingcluster. 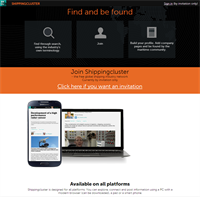 “Shippingcluster is a social network exclusively for the global shipping industry, eliminating all unrelated noise, making people and business easy to find and be found,” he says. 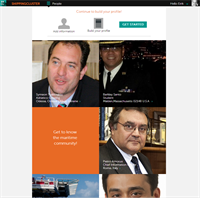 The service is free and members will collaborate to keep it highly relevant for shipping business. The shipping industry is the world's most international business. In Norway alone, the industry creates an annual value worth 150 billion NOK, and employs over 100,000 people. Likened to Facebook and LinkedIn, Shippingcluster as an online social networking website, has a huge future potential, believes Fosse. “Focusing on specific business sectors, such as shipping, eliminates noise and increasesuser relevance, “ says Fosse, referring to Shippingcluster as a maritime combination of Finn.no (an equivalent of Norwegian Ebay) and LinkedIn. To make it happen, Fosse is teaming up with shipping and IT experts, bringing vast xperience and know-how to the table. “We are a specialist industry with its own terminology and specific networking criteria. Industry know-how is therefore crucial in order to succeed within industry-specific social media,” he predicts. The ability to continously develop intuitive and technologically advanced web design is another prime asset. Industry-specific social networks must be as intuitive and user-friendly as the best internet services. “IT-systems that require introduction courses in order to be used, are no longer acceptable. The site must be very simple and efficient, yet flexible,” he says. As the membership base grows, Shippingcluster will add new and effective maritime services to its members, such as CO2 reporting, vessel performance, benchmarking and port calls . “The realization of network-dependent services will provide enormous opportunities and synergy for the industry,” says Fosse, adding that the Shippingcluster will be the leading social network for maritime students and academia. “This will be a perfect medium to highlight innovation projects and connect students and businesses related to these projects,” says Fosse. Launched last June, Shippingcluster today boasts a membership base of over 1,000 maritime people and 250 companies from over 40 countries. “This is far above our expectations and obviously driven through word of mouth. We have given the shipping industry a communiative missing link which has very positive global ramificiations,” says Fosse.